After multiple debates focused on the U.S. economy, I'm starting to think the only thing GOP candidates like better than talking about themselves is talking about money. Or talking about China, but maybe that's because China has more money. Either way, viewers are ready for the presidential hopefuls to tackle other issues affecting Americans. 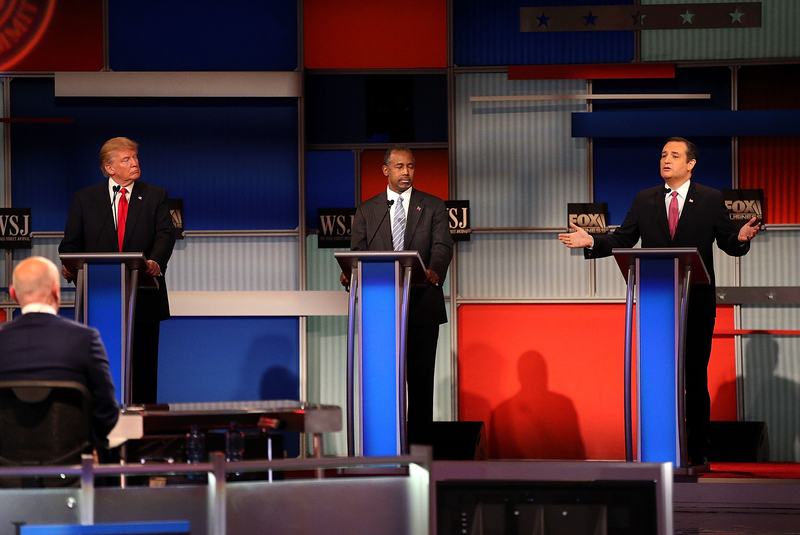 So what is the next Republican presidential debate about? The fifth round will cover general interest topics, but should focus on these foreign policy issues in light of recent events across the country. There's a lot on the minds of Americans, in the context of events that have occurred both within and outside the country's borders in the last few weeks. The threat of ISIS and ISIS-related attacks abroad and at home has become an issue of even deeper anguish and stress. Americans generally responded with empathy and compassion to the series of attacks carried out in Paris and Beirut in November. And though the investigation concerning the Dec. 2 mass shooting in San Bernardino, California, is ongoing, FBI authorities have stated the shooters pledged their allegiance to ISIS on social media prior to the attack. The ongoing refugee crisis and immigration into the United States is a serious concern for many as some political leaders on the right emphasize a connection between open immigration policy and a threat to national security. At the same time, President Obama has asked Americans not to "close [their] hearts" to Syrians fleeing their country, as they are the ones most vulnerable to terrorism. The number of critical foreign affairs issues worthy of getting a spot in the debate are myriad: candidates' views on current military spending, the use of surveillance and drones, forming a diplomatic relationship with Putin, and what should actually be done concerning Iran's nuclear program, to name a few. Some of the candidates have already been making their views on these issues known, albeit their responses have been pretty pathetic. Candidates Sen. Marco Rubio, Ben Carson, Sen. Ted Cruz, and Sen. Rand Paul all made statements in the wake of the San Bernardino shooting suggesting that refugees should not be allowed into the country anymore. In an email statement released on Monday, Donald Trump proposed a ban on all Muslims attempting to enter the United States. When asked about Trump's remarks, Cruz (whose name has been floating as a potential VP candidate for Trump) responded that he did "not agree with [Trump's] proposal" and that it was "not the right solution." Cruz's attempt at a delicate balance between an anti-refugee stance and a not-as-ridiculous-as-Trump stance shows why the need, then, for the candidates to hash these issues out on stage is so great. American voters must have the opportunity to watch and listen to the Republican presidential hopefuls explain how they plan on engaging with the rest of the world should they make it to the White House.